Being home to the only remaining Wonder of the Ancient World, Egypt is a fantastic place for any history buff to visit. However, its desert landscapes and many other historical sites mean it’s also perfect for an adventure holiday that will leave you with memories you’ll never forget. If you want to see several different parts of Egypt, it’s advisable to book a dedicated tour, as this will make travelling around a lot easier. We’re going to take a look at a few of the places you can visit on an adventure holiday in Egypt that combines history and excitement. 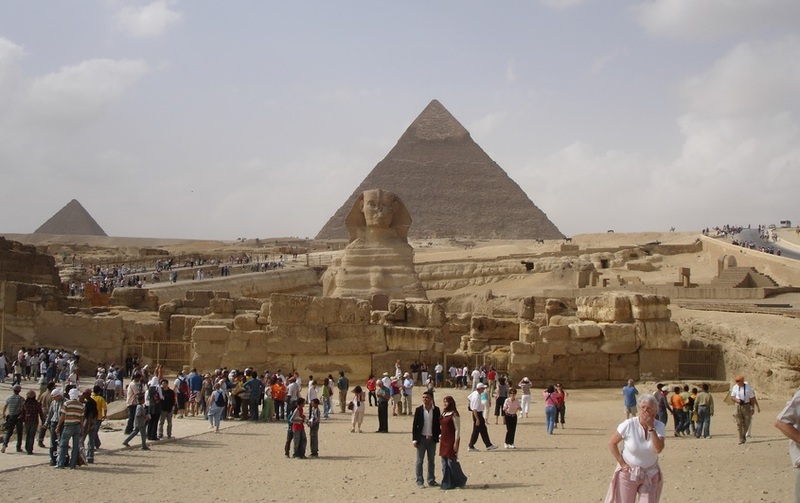 We’ll start by taking a look at some of the historical sites you can see on an adventure holiday in Egypt. The following are just a couple of places you should try to fit into your itinerary. This Ancient Wonder of the World is a spectacular sight – nothing will quite prepare you for the scale of the main pyramids. As you drive through the busy streets of Cairo towards the Giza Plateau, you’ll catch glimpses of the structures on the horizon. However, when they’re looming large right in front of you, it’s a very different experience. Take the time to just look up and marvel at how the Ancient Egyptians managed to construct these huge monuments. Of course, before you even reach the Pyramids you’ll have walked past the equally-famous Sphinx, which is also awe-inspiring in terms of its size. There are several temples in Luxor, but the Karnak Temple complex is certainly one of the most impressive. It’s actually home to the largest place of worship ever constructed – the Temple of Amun – as well as two other huge temples and many smaller, outlying places of worship. Although the site is largely in ruins, you can still get a sense of how immense the three main structures must have been in their heyday. Take your time to explore the site, stopping to admire the towering columns and intricate carvings you can spot here and there. A lot of Egypt is covered by desert and this environment makes a wonderful backdrop to an adventure tour. Spending time here is like being in another world and there is a surprising amount to see and do in this landscape dominated by sand and mountains. The White Desert is so named thanks to the colour of the sand and stones that dominate the landscape here. What makes it worth exploring is the incredible rock formations that have been carved by the wind over the centuries – many of them resemble mushrooms and are unbelievable shapes. You can tour the desert by jeep, or if you want a more authentic Egyptian experience, by camel. Camping here overnight is a real must, with the night sky dotted with more stars than you can imagine. It’s also good to stop at Dakhla Oasis during your tour of the White Desert, with its main town Mut having existed since Pharaonic times. One of the things that makes it special is its hot springs and thermal baths – there are dozens located in the oasis. Situated to the north of the White Desert is the Black Desert, where the rocks and sand are a much darker hue. The scenery here is much more mountainous, with black-coloured peaks rising up out of the otherwise flat landscape. This is a great place for hiking – if you feel up to the challenge you can climb English Mountain, the highest point in the desert. You can also relax and unwind in the soothing Beer El Ghaba springs before continuing your adventure.